The Great Disneyland Scavenger Hunt charts a detailed path through Disneyland and Disney’s California Adventure theme parks, leading guests to make the most of their visit by discovering Walt Disney’s meticulous vision every step of the way. This book is designed to lend guests new perspective on the theme parks, opening their eyes to the artistry and wonder within them. With the help of this scavenger hunt, both new and returning guests can be exposed to details of the Disneyland Resort that they would have undoubtedly missed otherwise; readers and users of this book are empowered to maximize the value of each Disney vacation they take. 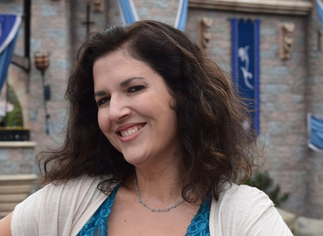 Get read for the next book in Catherine's scavenger hunt series, The Great Walt Disney World Scavenger Hunt, coming soon. Why not sign up for our email updates? Privacy notice: We'll never spam you and will NEVER share your email address with anyone.